The downside of social media is playing on my mind. It’s a beautiful world out there and we’re missing out – have you ever really paid attention to how much time you lose online? The picture in this post is simple but a wonderful memory, yet I forget how happy these simple things make me feel. 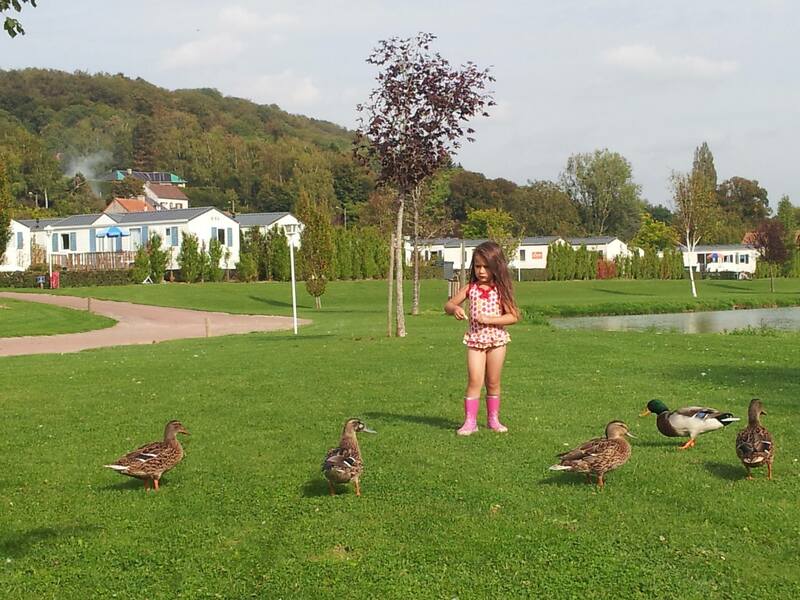 Feeding the ducks in France versus staring at a computer screen….. hmmm it’s a hard one isn’t it. In a world where we spend increasing amounts of time connecting with people we don’t really know, getting pulled into their world and comparing ourselves to them can be detrimental to our personal relationships. You’ve all seen the shots of a crowd of people staring at their phones while waiting for a bus, the art of conversation disappearing into the internet trance. It’s one thing to stand in a queue of strangers and be in a cyber-world, it’s another to do it between the walls of our own homes with our loved ones. I put my hand up, I’m guilty – but I’m planning on changing things around here. Yesterday I went upstairs to turn the computer off at seven o’clock, just in time to get Lola ready for bed and spend cuddle time with her. Before I knew it, the time was twenty past seven – another twenty minutes lost to a world which isn’t mine, precious time with my daughter wasted. This morning I was angry with myself, I let the same thing happen again but this time I had allowed Lola to go on the laptop while I got breakfast ready – she of course switched off from mum and didn’t listen when I asked her to come for her breakfast. Fortunately, rather than reacting and being annoyed with her I remembered my distraction last night and crept over to her, crouched down and whispered – breakfast is ready while giving her a little cuddle. The result? Lola switched off the laptop and came to me, we had a chat about how we both need to remind each other sometimes that people are more important than things – especially the big wide world of the web. What could have happened? I could have raised my voice and demanded that she come, threatened a ban from the computer and we both would have been upset and after all I gave her permission to use the silly thing so it would just confuse her! It’s a double edged sword for me, I write and work on websites for a living so I need to leverage the web, but I need to get much better at managing what I do and when I do it. I need to practice what I preach and make the most of the time I have with my loved ones, so starting today I’m trying a little harder. When I finish this post, I will schedule my time for today and make plans for the weekend with my family which don’t involve staring into cyberspace. What about you – do you have a handle on the time spent online? Do you wish you had more time to do the things you love? Perhaps paying attention to how the time flies while you’re checking out what a friend of a friend of a stranger is doing on Facebook, is worth a shot? As always, please leave comments and share if you would like (but don’t get distracted while you’re at it!) What are your thoughts about the positives and downside of social media?